View More In USB Lamps. Eyesight-protected technology with uniform and gentle lighting, harmless to eyes. USB charging, can connect with power bank or computer as power supply, convenient to use. Dimmable design with 3 brightness modes, catering for different requirements. Made of hardened acrylic material, nontoxic, ultra-thin design, wear-resisting and durable. 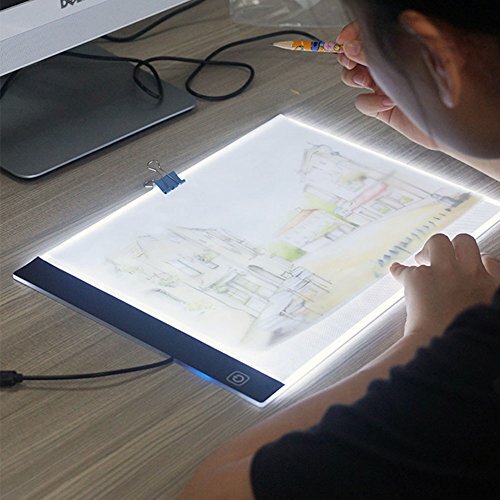 Perfect for sketching, drawing, animation making, calligraphy and other use. If you have any questions about this product by Lanlan, contact us by completing and submitting the form below. If you are looking for a specif part number, please include it with your message.